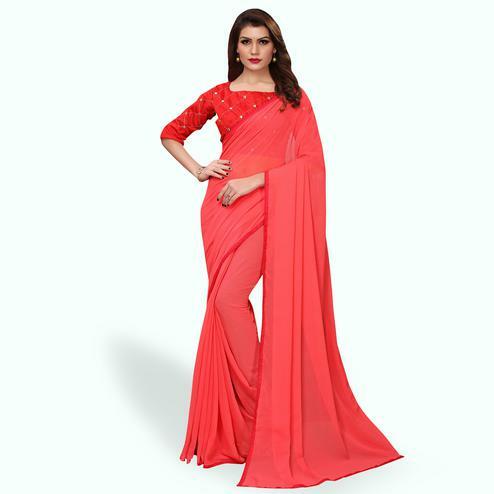 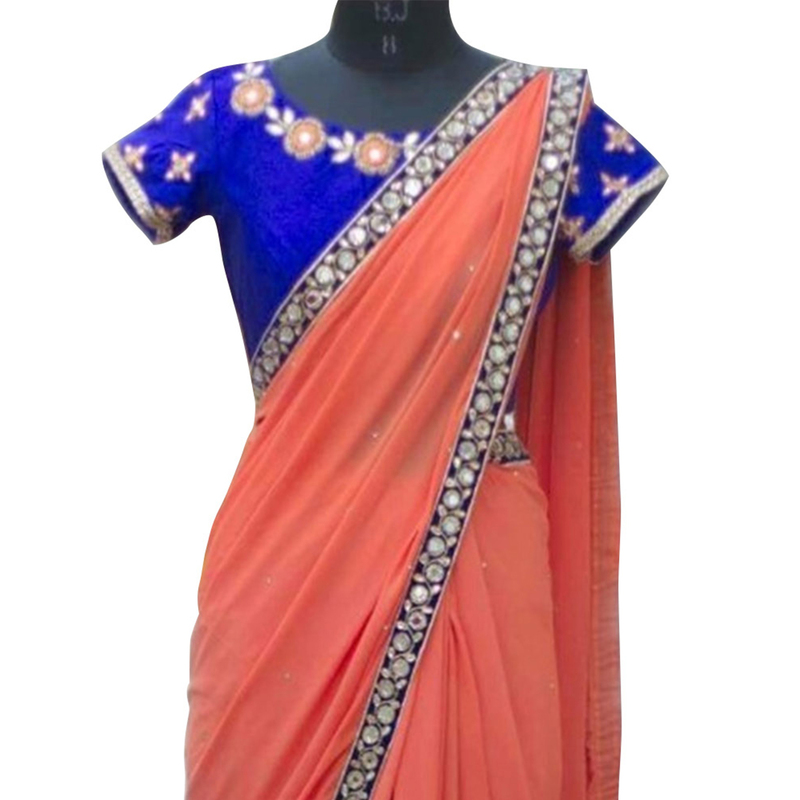 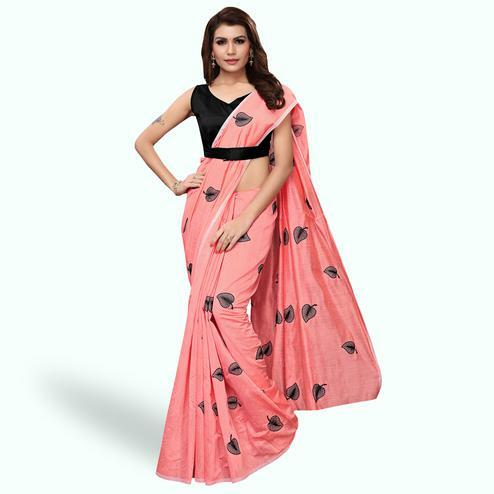 This peach color saree is designed using georgette fabric and detailed with fancy thread work done at the border of the attire. 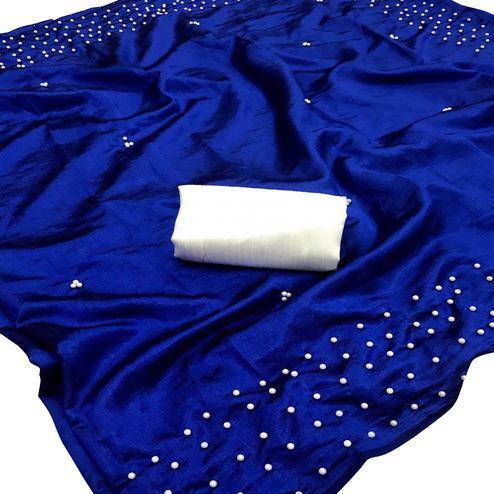 Available with navy blue floral thread work blouse piece. 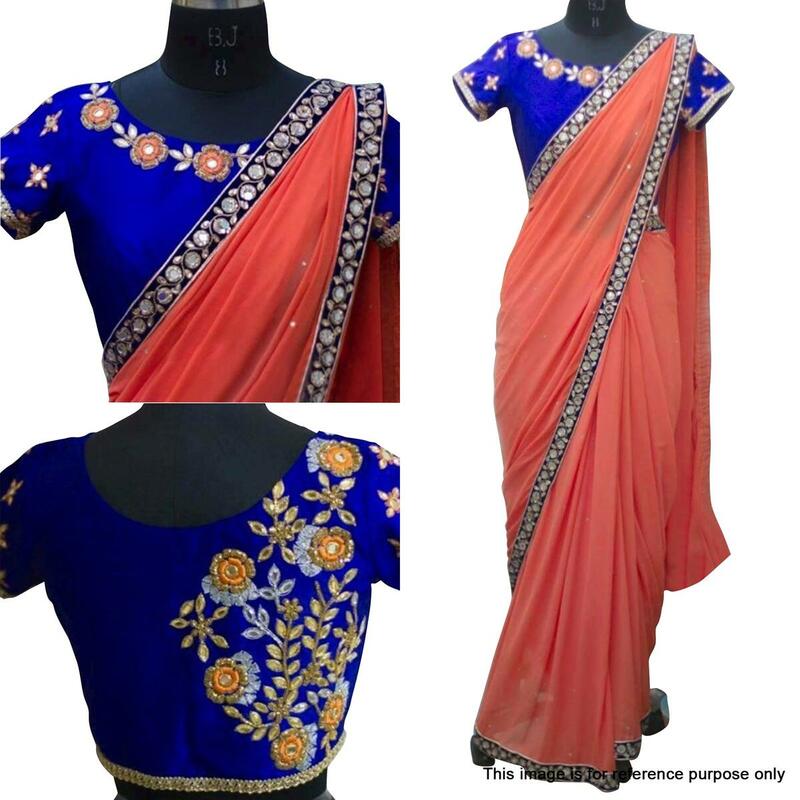 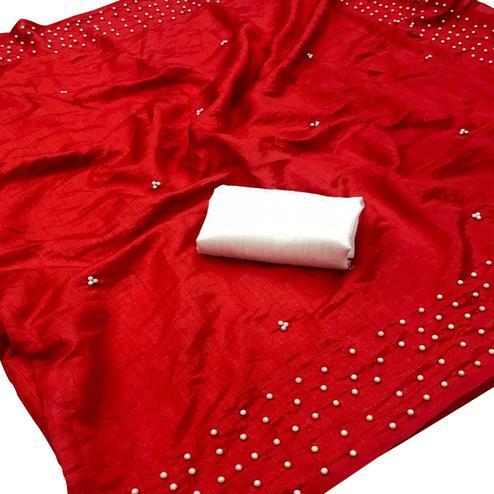 Ideal for parties and functions.